A visit to Disneyland is not complete without a trip to the Tiki Juice Bar where the famous Dole Whip soft serve dessert resides. These golden swirls of frozen pineapple-y goodness are an essential part of any magical visit. But trips to Disneyland are pretty pricey nowadays. 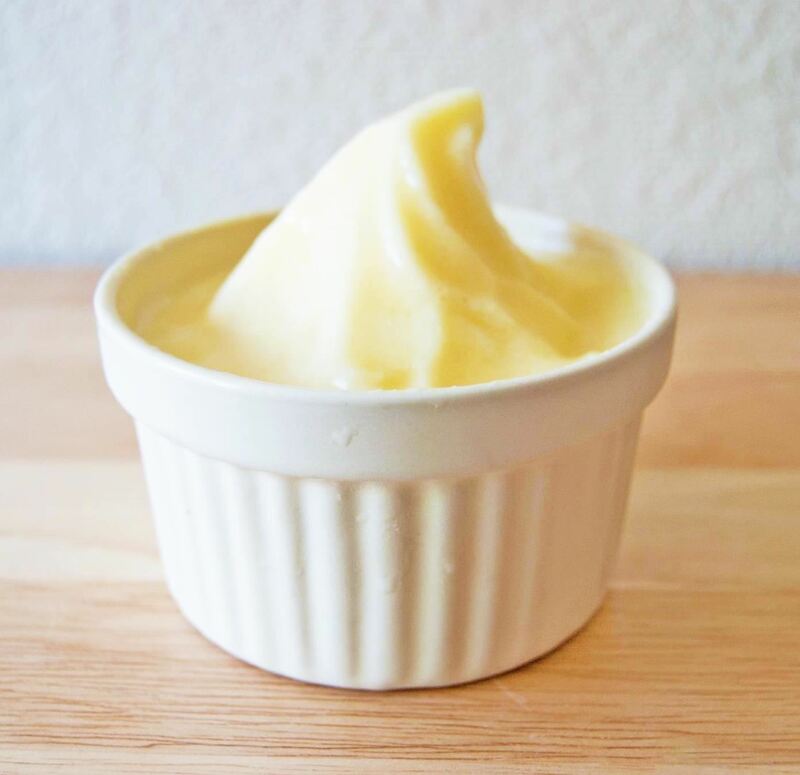 So for those times when I can't make it out to the happiest place on earth, I can just satisfy my cravings at home thanks to Gemma's more-than-worthy Dole Whip recipe on Bigger Bolder Baking—which uses only two ingredients! 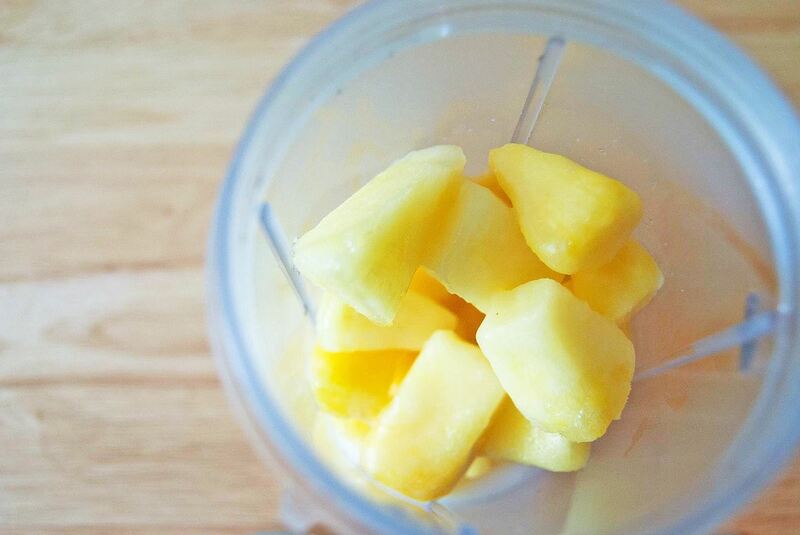 Add the pineapple and coconut milk together in a blender. Nothing can exactly replicate this dessert that childhood dreams are made of. That being said, the sweet tang of the pineapple—coupled with the creamy flavor of the coconut milk—was highly reminiscent of this Disney treat. It also has the consistency of frozen yogurt, which allowed me to create that signature swirl at the top. Best of all: there were no absurdly long lines to have to wait in. If you have pineapple juice, you can even make the Dole Whip float—just fill half a glass with juice, then top generously with Dole Whip. The paper umbrella on top is optional, but recommended.